Who thinks external screens are way too small to be useful? I guess that this is quite a common opinion, so a concept that uses the exterior of a clamshell phone as a display is surely welcome. 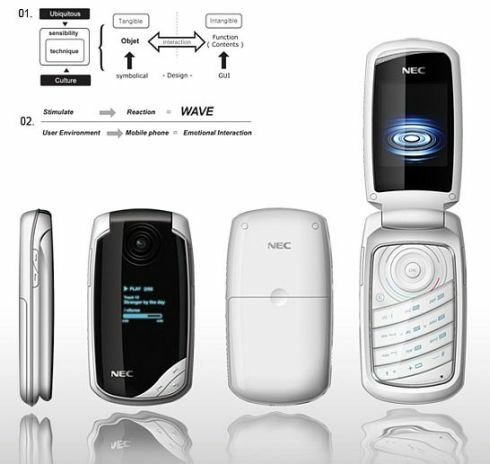 The WAVE Interaction cellphone is such a device, as you can see for yourself in the following pics. The full-cover display will show you all the info you need to know, like the time of day, the battery and memory status, weather info and God knows what else. Also, this external display can be customized to your liking, so you’ll take wallpapers to the next level by using the entire surface of the clamshell. 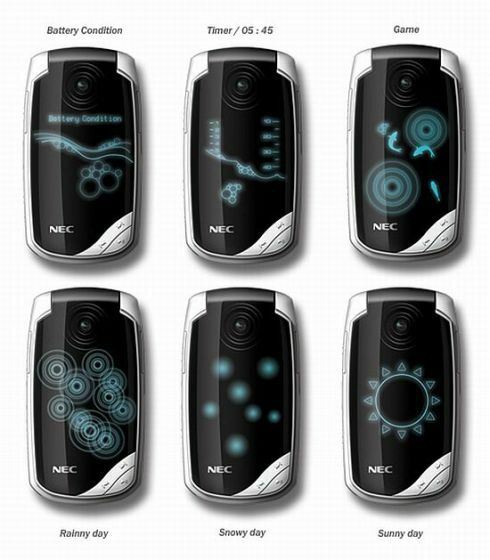 Plus, there will be a ton of touchscreen-based games to play, without even needing to open up the handset. How’s that for an innovation?